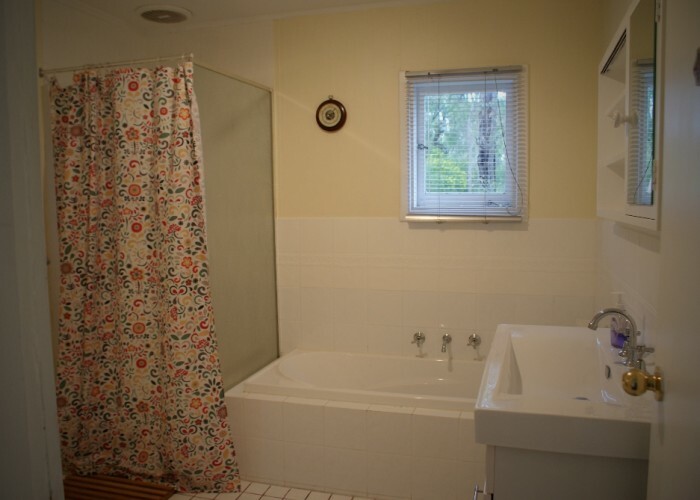 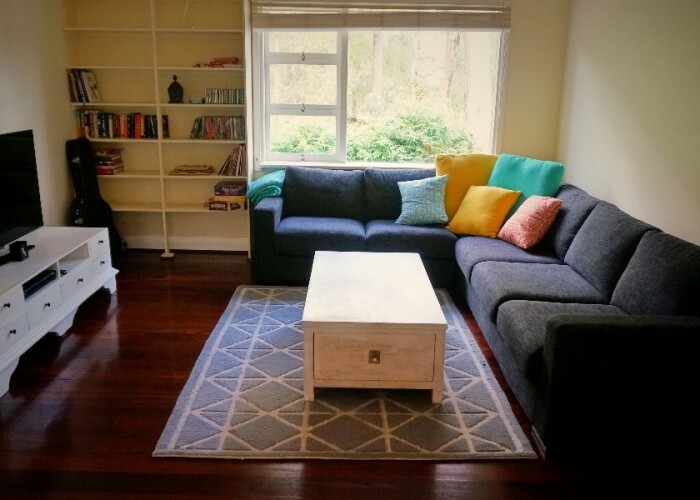 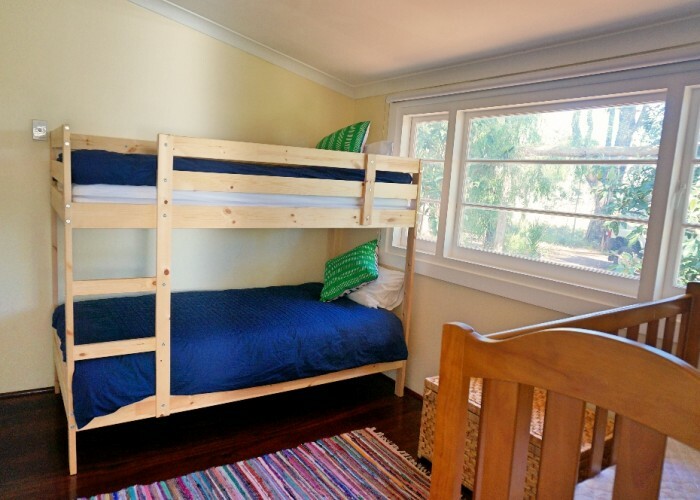 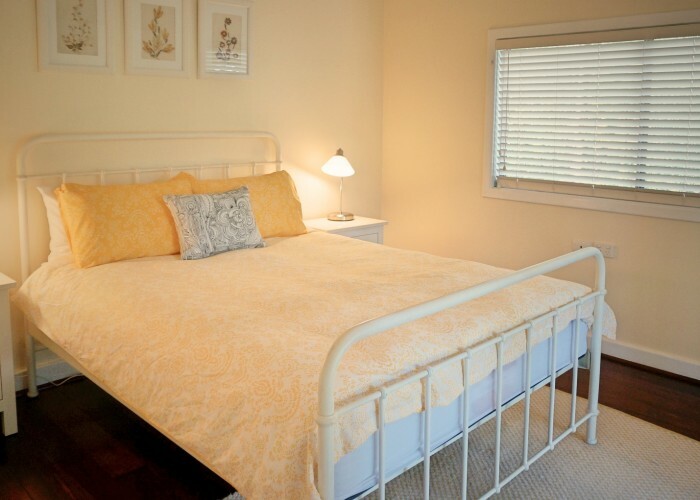 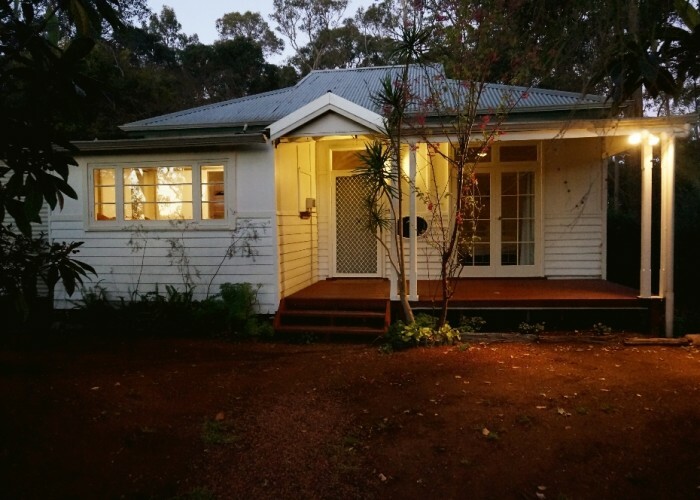 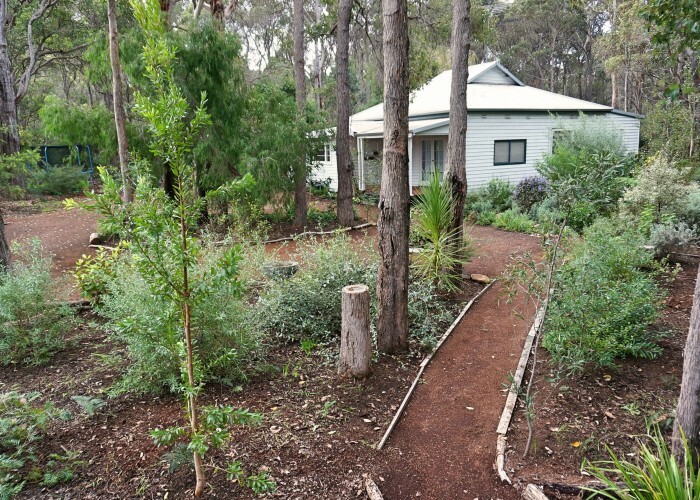 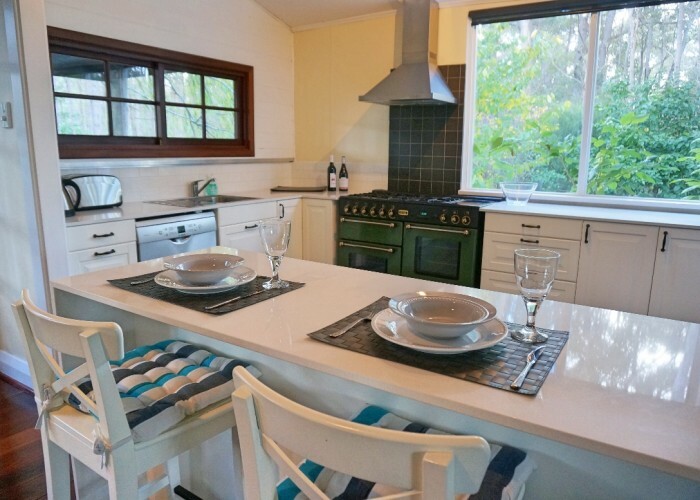 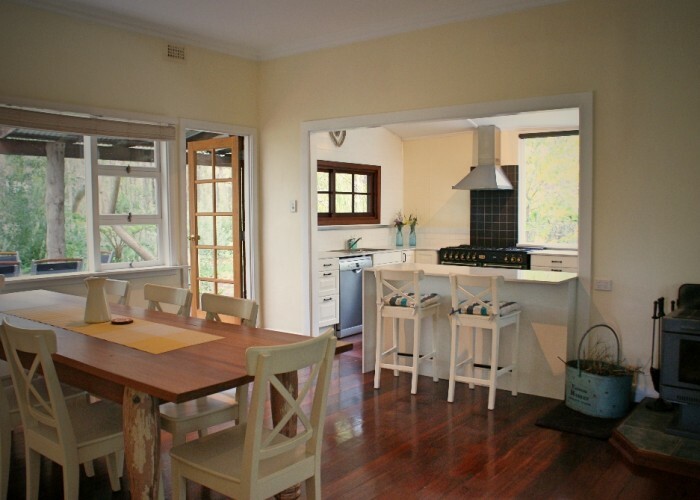 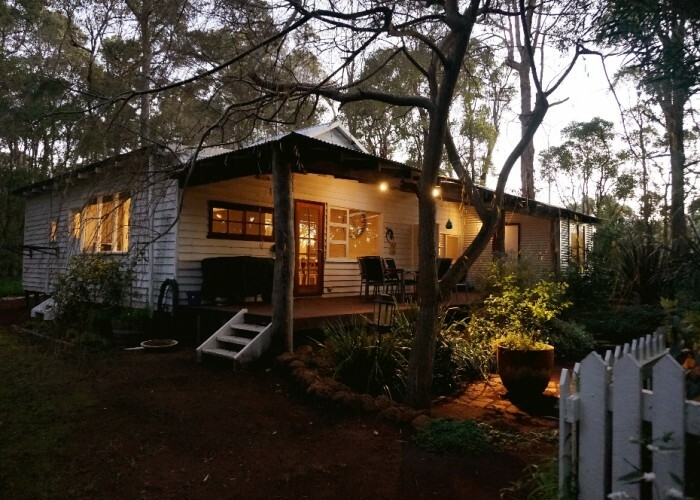 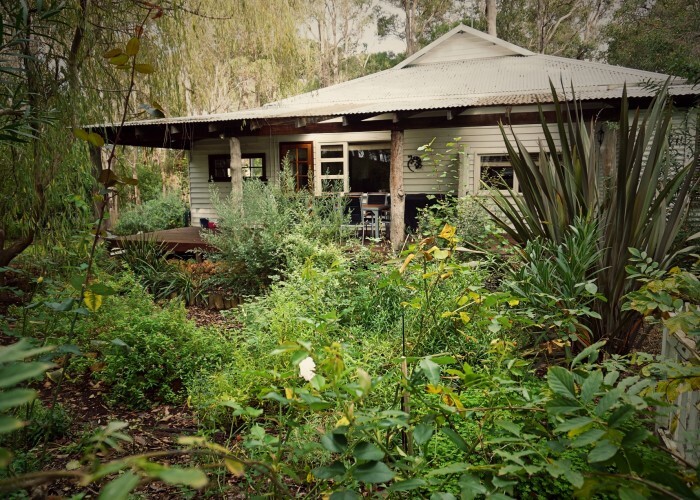 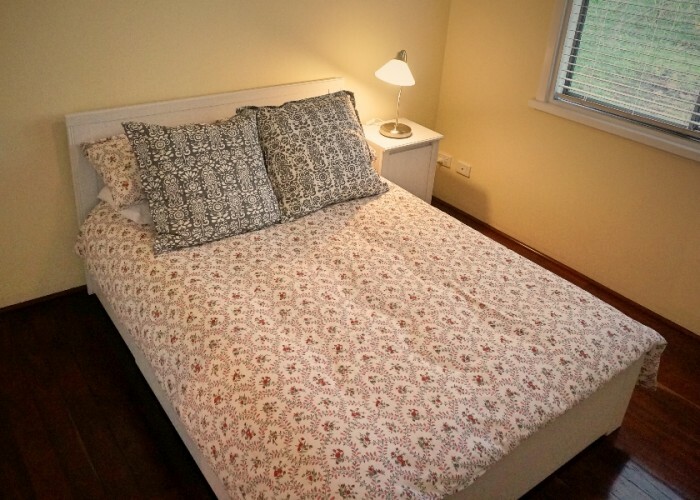 Banana Pancakes is a delicious 1950’s jarrah weatherboard cottage, renovated and restored into a delightful and comfortable holiday home, set in a fairytale cottage garden in the prettiest corner of Margaret River and only a kilometre from town. 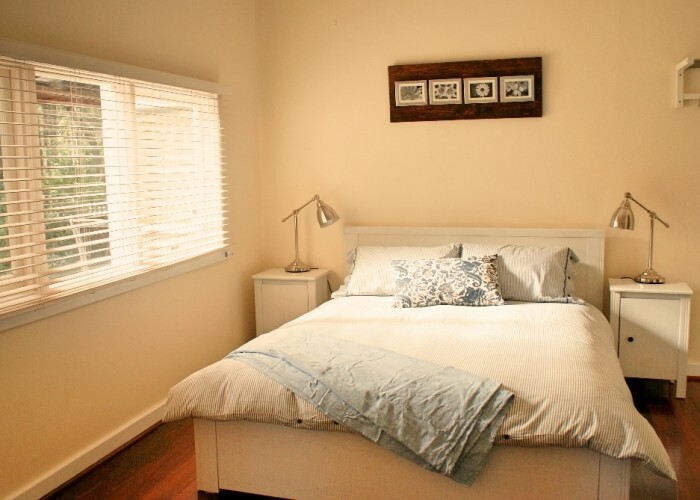 As the name suggests, this is the place where you can relax with your family and friends, and indulge the eating pleasures of a leisurely Sunday morning, where the world rolls by. 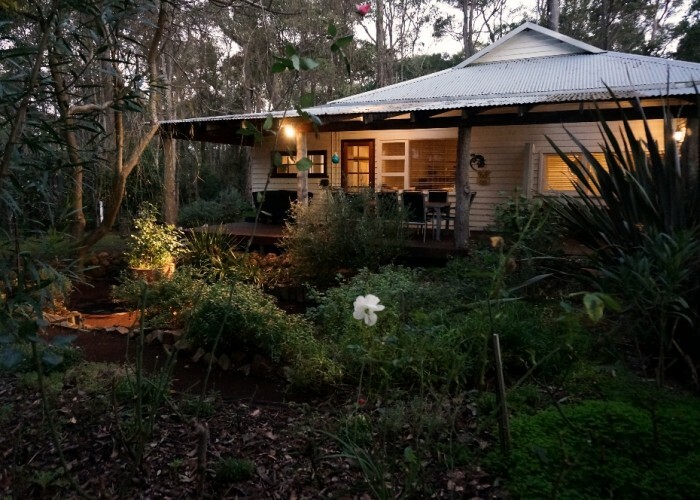 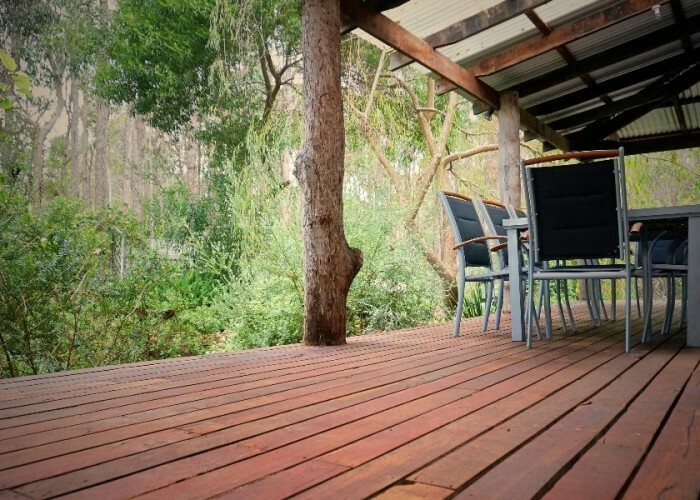 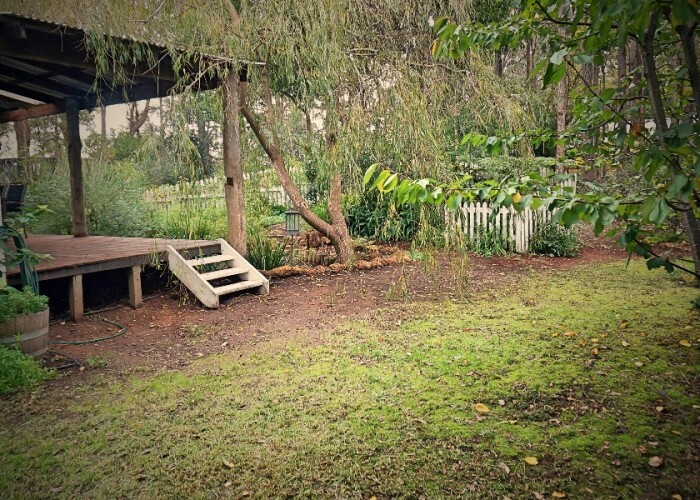 This picturesque jarrah cottage is fully self-contained and is situated on a one acre bush property with cultivated gardens, native plants and fruit trees, fully fenced to keep the family dog secure. 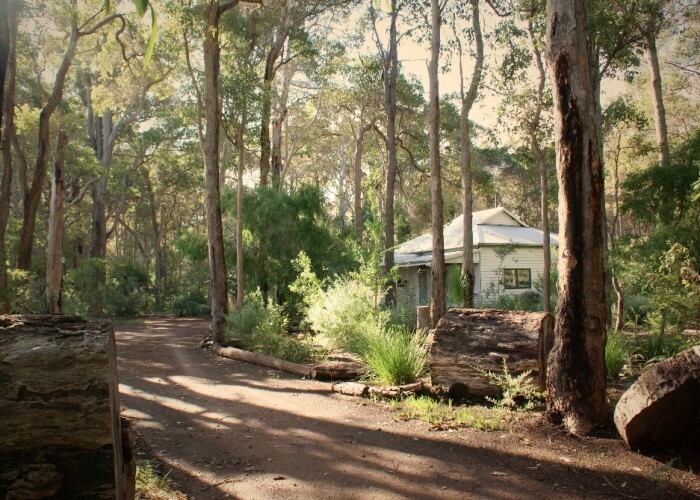 A walk at sunset is an enjoyable experience of sights and sounds in a peaceful environment.